William "Bill" Rinehart is the Manager and Bank Officer of Century National Bank Logan Banking Center. He has served 15 years as the Executive Director of Hocking County Community Improvement Corporation and 16 years as the Executive Director of Logan-Hocking Chamber of Commerce. Bill has 31 years of experience in public education as an elementary teacher, elementary/junior high school, senior high school guidance counselor and administrator. 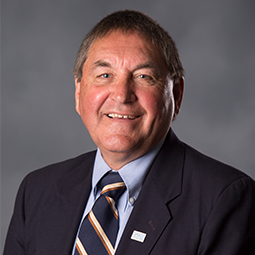 Bill is currently involved in community committees and boards, such as Past President of Logan Rotary, Business Advisory Committee Logan-Hocking School Board and the Hocking Hills Chamber. Bill’s daughter is a 2018 first-year student at Hocking College in the Movie Production Program.